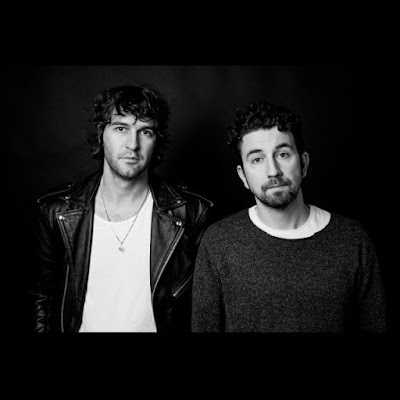 Up till now the two of Japandroids wanted to make their records sound the way it sounded on stage. This meant that the recordings were quite "lofi" and not a lot was cleaned up in the studio. After a few years of radio silence, because of exhaustion, they are doing things differently this time. For Near To The Wild Heart Of Life the duo left the "lofi" approach and decided to actually make full use of the studio a lot and mix in all kinds of additions to make it sound more impressive. Residing in different Canadian cities this time, it was also more practical to turn it into an actual studio project, so they could record independently from each other. And so now we can hear all kinds of overdubs, synthesizers and other instruments. They didn't care about how to make it sound live on stage, which worked really well. Things go wild with synths and harmonies on 'Arc Of Bar', causing it to grow into seven minutes of almost epic proportions. The title song 'Near To The Wild Heart Of Life' also sounds big and impressive with wild drum fills and guitars. Japandroids all of a sudden sounds like a band that can fill arenas with a massive rock sound. Of course they were never a band that were restraining themselves or used a subtle approach, but now everything has been made bigger for an even wider sound. Closer 'In A Body Like A Grave' even turns into a sing along track, that will probably go down well at festivals this summer. In the end only the short 'I’m Sorry (For Not Finding You Sooner)' feels somewhat out of place. According to the duo the song started out as an interlude, but was later added as a separate track. Nevertheless Japandroids have taken a new direction with a bold and courageous choice, that works very well. The band sounds more impressive and deep than ever without losing any power. Even better, they actually gained power and seem ready for the next step to a wider audience. This simply must turn into an explosive happening when they play the new songs live.